Wollastonite is a little-known but extremely useful calcium-silicate mineral (CaSiO3) created when impure limestone, often in the presence of silica-bearing metamorphic rock, is subjected to high temperature and pressure. 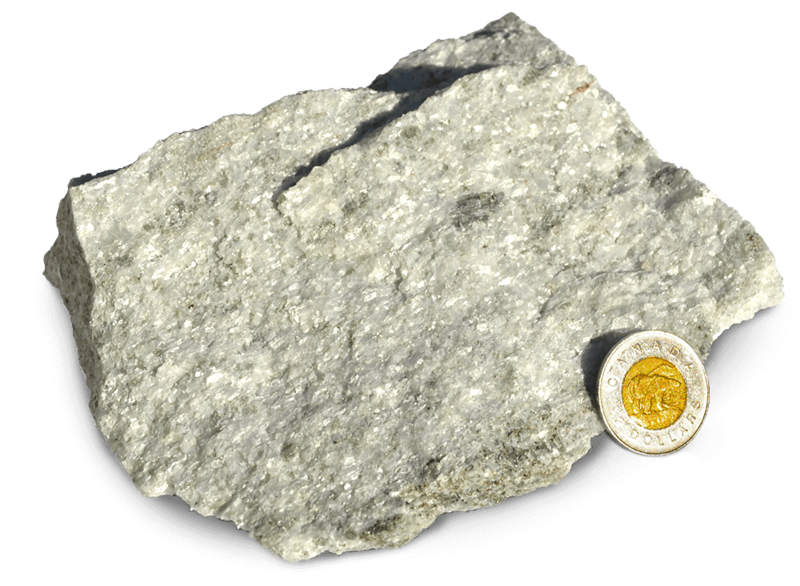 Canadian Wollastonite is a recent addition to the mining community of Ontario and produces wollastonite-based products and performance aggregates. Wollastonite is a high-grade, mined calcium silicate with unique chemical and physical properties that delivers environmental and economic benefits in a wide range of industrial, ecological and agricultural applications. Wollastonite contains several core compounds that are naturally beneficial to aiding soil amendments, livestock and environmental remediation.